LAWRENCE — Although most people think of Antarctica as a barren, cold environment, 200 million years ago it was a lush forest — a forest that now permineralized can yield clues to the climate change of the past and how plants today may react to current climate change. An international research team headed by University of Kansas scientists will head to Antarctica this week as part of a project aimed at understanding floral changes during the Jurassic period in the Transantarctic Mountains of Antarctica. The group, departing today, will be on the ground for about one month and plans to blog and post to social media about the experience. The public is invited to follow the team’s work at biodiversity.ku.edu/blogs/antarctica2014. As part of this research, the group will examine the Early Jurassic fossil flora and the corresponding paleoenvironments from southern Victoria Land using a combination of geology, geochemistry and paleobotany. 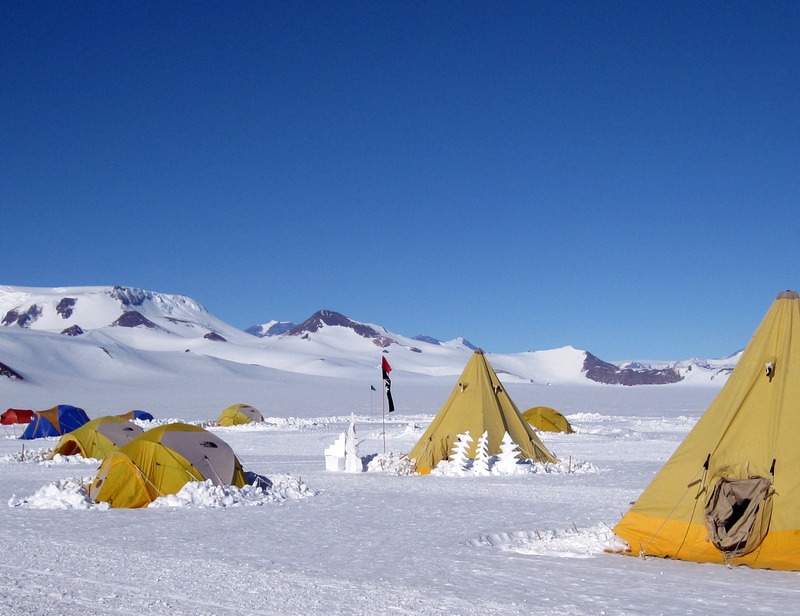 During their time in Antarctica, the researchers will be based at the McMurdo research station but will take several camping field trips “out to the ice,” including the Odell Glacier area and the Allan Hills. The group hopes to share images and experiences from the research station and eventually from the field, where communications technology is limited to satellite phones. In addition to Serbet, the group is co-lead by geologist Erik L. Gulbranson, University of Wisconsin, Milwaukee. The group includes KU Edith Taylor and CO-PI Tom Taylor at KU​ paleobotany graduate student Carla Harper; geologist Lauren A. Michel from the Perot Museum of Nature and Science, Dallas; paleobotanist Ignacio Escapa of Argentina; paleobotanist Anne-Laure Decombeix of the French Center for Scientific Research of Montpellier, France; Charles Daghlian of Dartmouth College; and mountaineers Andrew Brown and David Buchanan. This work is part of a collaborative National Science Foundation proposal with principal investigator Edith Taylor and co-principal investigator Tom Taylor of KU, and co-principal investigators Erik L. Gulbranson and John L. Isbell at the University of Wisconsin, Madison.